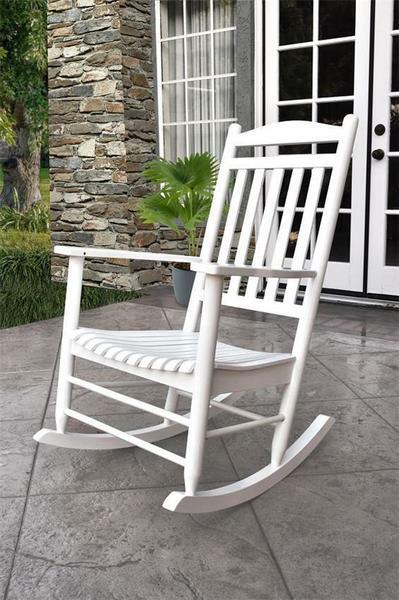 Grab a book, sip a cup of iced tea and relax with the Gardentones Maine Porch Rocker. You will never want to get up from this comfortable seat on your front porch, patio or backyard lanai. Customize the look by choosing to order the Maine Porch Rocker in oak brown or white paint colors. 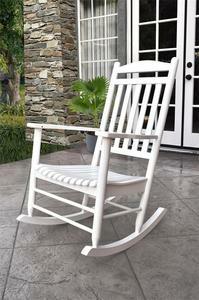 White paint gives the rockers a more clean and classic look for more traditional home style homes. The Maine Porch Rocker does requite some minor assembly.